Would appear PYQT4 and sip don't like each other. Screen shot attached.Both packages from 7.2 untested. what version of PyQt and sip you having now? what version of 7.2 you having now? arch? what program causing the error? Since I have your attention, could file-roller be added to packages? This was not reported to the bug tracker, but has been fixed in 7.2. The next ISO will have this working. file-roller-3.16.4 is in the 7.2 untested repo. Can you try and let me know does it work or not? Got file-roller from repository installed successfully in menu as archive manager,does not launch,no errors. Uninstalled reinstalled no go. Moe-lnx's looks good. 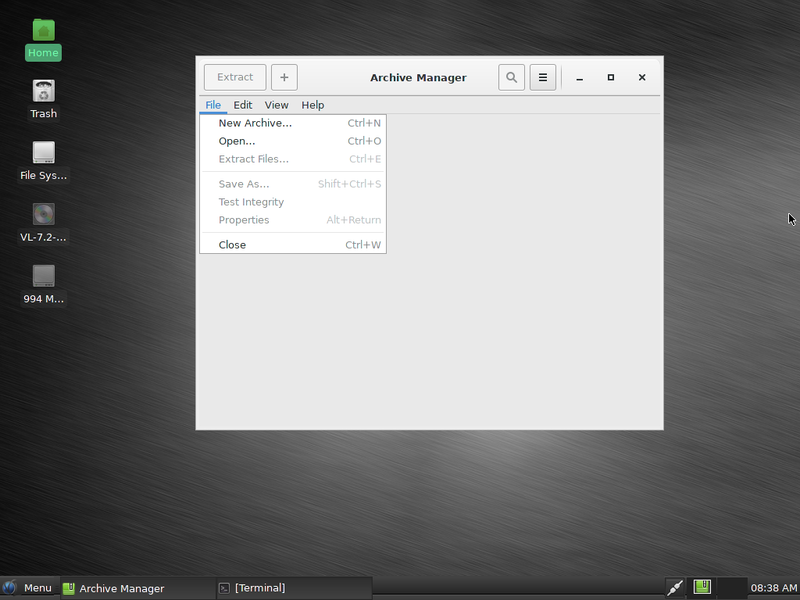 Also have no icon for archiver in menu. Must be missing something ,will look. Yes produced output,no schema. Figured I messed up Cconf did not Know what to look for. Reinstalled VL7.2-A03.1. All good now. Noticed HPLIP updated to 3.15.11. Nice going wigums. Will try it. @wigums my mistake,figured you had done update since you inquired why. MOE-lnx busy busy. @hata-ph,By all means,you must type like me----typos. Now I must start over screwed hard drive moving things. Good and nice work.